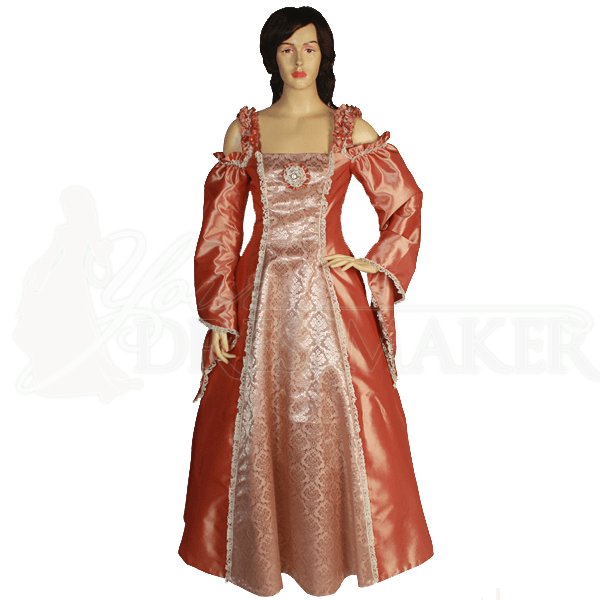 The Open Shoulder Renaissance Dress presents a unique take on Renaissance fashion. Made from shimmering taffeta, this historic-inspired dress features ruffled shoulder straps with sleeves starting at the level of the square neckline, creating the distinct detached sleeve look responsible for its name. These long hanging sleeves feature white lace trim at both ends, matched with the lace trim outlining the gowns central panel of damask patterned taffeta. 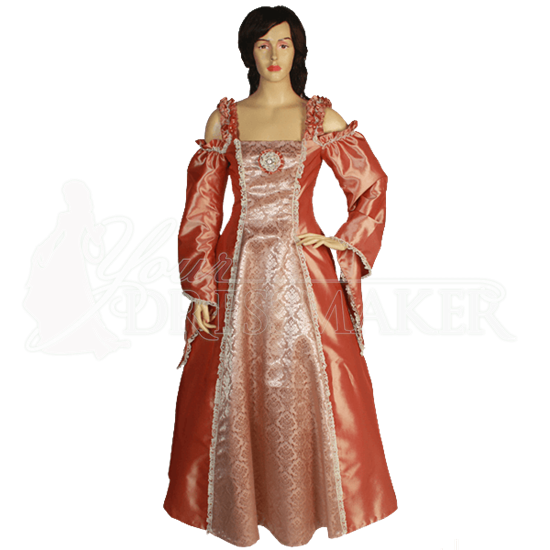 Wear this stunning Renaissance dress at your next Renaissance festival, costume ball, or other historic reenactment event. To showcase the volume of the skirt as seen here, wear an A-line petticoat underneath, sold separately.